Sales of existing homes fell in April but bounced back in May, according to new numbers from the National Association of Realtors. May sales of previously owned homes rose 1.1 percent and are now 2.7 percent higher than they were at the same time last year. Lawrence Yun, NAR’s chief economist, says home buyer interest continues despite some challenges. “The job market in most of the country is healthy and the recent downward trend in mortgage rates continues to keep buyer interest at a robust level,” Yun said. “Those able to close on a home last month are probably feeling both happy and relieved. 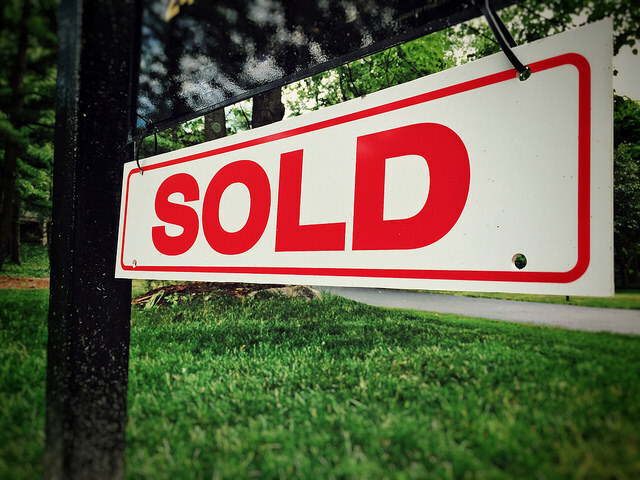 Listings in the affordable price range are scarce, homes are coming off the market at an extremely fast past and the prevalence of multiple offers in some markets are pushing prices higher.” Homes are, indeed, selling quickly. In fact, the typical for-sale property in May sold in just 27 days, down from 29 days the month before. That’s the fastest recorded time since the NAR began keeping records six years ago. Also in the report, sales rose across all four regions of the country, particularly the Midwest and West. More here.